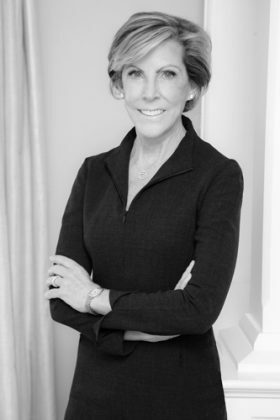 Kathy Giusti, a multiple myeloma patient, is the Founder of the Multiple Myeloma Research Foundation (MMRF) and the Multiple Myeloma Research Consortium (MMRC). She is the Henry & Allison McCance Family Senior Fellow at Harvard Business School, where she serves as Faculty Co-Chair of HBS Kraft Precision Medicine Accelerator, a $20M program endowed by Robert Kraft and the Kraft Family Foundation. She currently serves on the MMRF Board of Directors. Giusti has more than two decades of experience in the pharmaceutical industry, previously holding senior positions at G.D. Searle and Merck. Since founding the MMRF in 1998, Giusti has become a widely respected leader in establishing innovative, collaborative research models in the areas of tissue banking, genomics, and clinical trials. These models are dramatically accelerating the pace at which lifesaving treatments are brought to patients and are building an end-to-end solution in precision medicine. Today, Giusti is recognized as a pioneer of precision medicine, a champion of open-access data sharing, and a strong advocate for patient engagement. In 2016, Giusti was named Faculty Co-Chair of the Harvard Business School (HBS) Kraft Precision Medicine Accelerator. Under Giusti’s leadership, the HBS Kraft Precision Medicine Accelerator convenes best-in-class leaders from science, business and technology to identify and solve challenges slowing the advancement of precision medicine. The HBS Kraft PM Accelerator disseminates best practices and models to overcome these challenges, and, ultimately, enables faster adoption of high-impact innovations. Giusti’s has earned several prestigious awards and recognitions, including being named 1 of 3 Top Business Leaders Disrupting Medicine by Fortune Magazine and #19 on Fortune’s World’s 50 Greatest Leaders list. Giusti was also named one of the world’s 100 Most Influential People by TIME magazine. In 2017, she received PRIMO’s Exceptional Women in Oncology award. In addition, she received the Open Science Champion of Change award by the White House and has been honored with the American Association for Cancer Research Centennial Medal for Distinguished Public Service and the Healthcare Businesswomen’s Association’s Woman of the Year Award. Giusti served on President Obama’s 2015 Precision Medicine Initiative Working Group and continues to act as an active advisor to the Obama PMI (“All of Us”) and Vice President Biden’s Cancer Moonshot program. She currently is a member of the Harvard Business School (HBS) Health Advisory Board and has previously served on the President’s Council of Advisors on Science and Technology (PCAST), National Cancer Advisory Board (NCAB), and the National Cancer Policy Board (NCBP). Giusti has been featured on the Today Show, NBC Nightly News, CBS Evening News, Fox News, CNN, and Bloomberg. Her efforts have also been profiled by Fortune, The Wall Street Journal, Harvard Business Review, The New York Times, Forbes, The New Yorker, WIRED, and Fast Company. Giusti received her MBA in general management from Harvard Business School. She holds an honorary Doctorate from the University of Vermont.